Throughout his extraordinary career, Alfred Hitchcock had the help of several important collaborators in bringing his ideas to the screen. 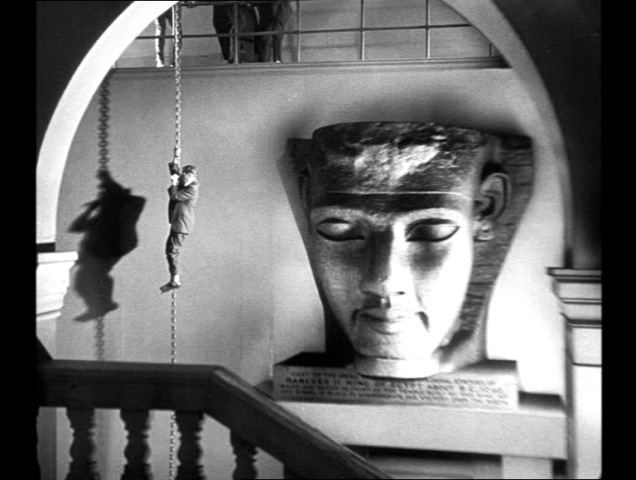 It’s hard to imagine “Psycho” without the musical score of Bernard Hermann, for example. Others, notably female actors like Grace Kelly, inspired Hitchcock to tell a certain type of story. 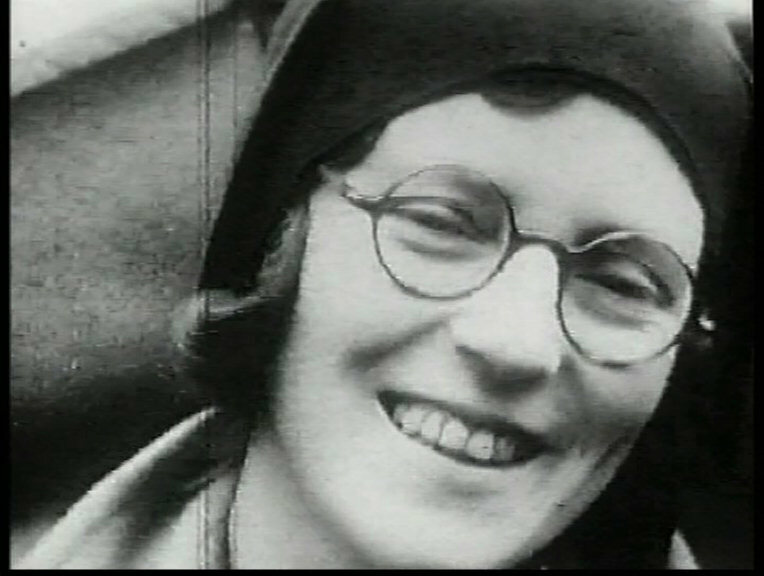 A shot of Alma Reville around 1920, from the documentary "Dial H for Hitchcock"
The first collaborator we’ll look at is Alma Reville, whose name, my wife would like to say, means “awakening offering.” Born just one day after Hitchcock, on August 14, 1899, Reville joined the British film industry even before her future husband. Her father worked at Twickenham Film Studios, and Reville got a job there at age 15 as a rewind girl in the cutting room. She quickly moved on to film editing at the London Film Company at age 16, while Hitch was designing advertisements for a cable manufacturer. She then moved to Famous Players-Lasky, where she first met Hitchcock; she was credited as saying, with some pleasure, that when they met, her career was more advanced than his, and that he waited until he had more credits to his name before approaching her to edit the movie “Woman to Woman,” on which he served as assistant director. She continued working with Hitchcock as his directing career got under way, serving as a film editor, script girl/continuity editor, writer and, most important, sounding board. 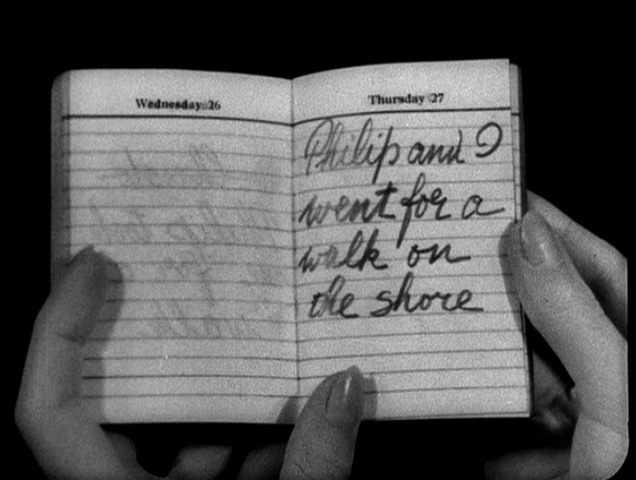 In his book “Alfred Hitchcock: A Life in Darkness and Light,” Patrick McGilligan recounts script conferences held over dinners or during long walks in which Hitch, Reville and a third partner – usually the screenwriter of record – would scrutinize every aspect of the story they were trying to tell. Her career was not restricted to collaborations with her husband, however. 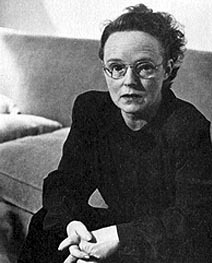 She also wrote at least ten non-Hitchcock films from 1928 to 1945, although the time she spent caring for her family limited her career to some degree. It’s thought that Reville would have become a director herself had she not had a child. 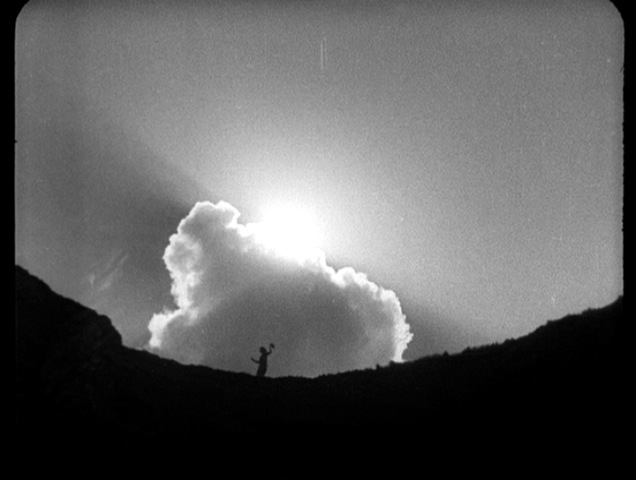 According to McGilligan, Reville was devastated by the negative reviews for Hitch’s 1949 picture “Under Capricorn.” After that, she pulled back from direct involvement in the development of the films, although, as mentioned above, she continued to offer her opinions. 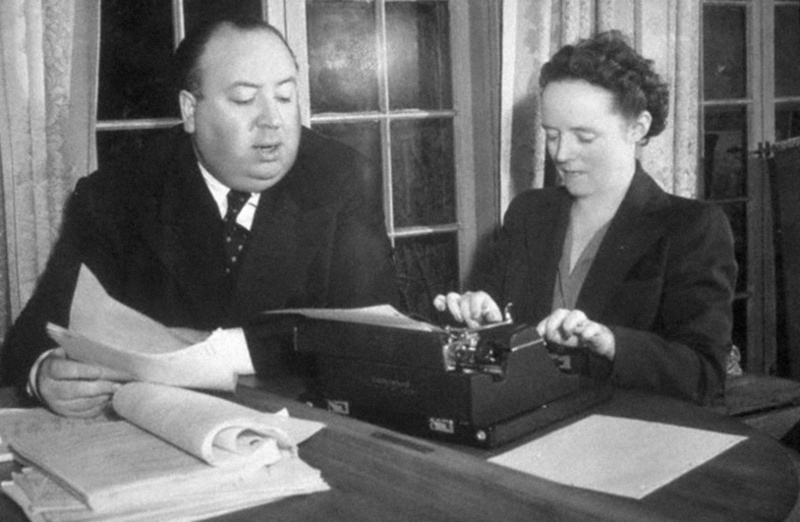 During script conferences, Reville would sit quietly nearby, listening, and when a writer made a suggestion that Hitch was unsure of, the director would look to his wife for help. A few words, even a shake of her head, and Hitchcock would tell the writer to try again. 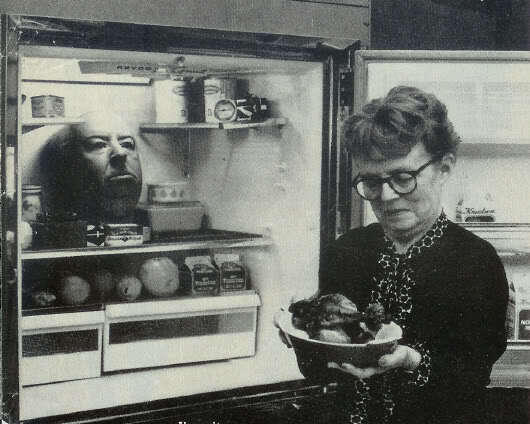 Hitchcock never questioned her opinion; any idea or input she offered was put into affect. He trusted and relied on her expertise throughout his career. 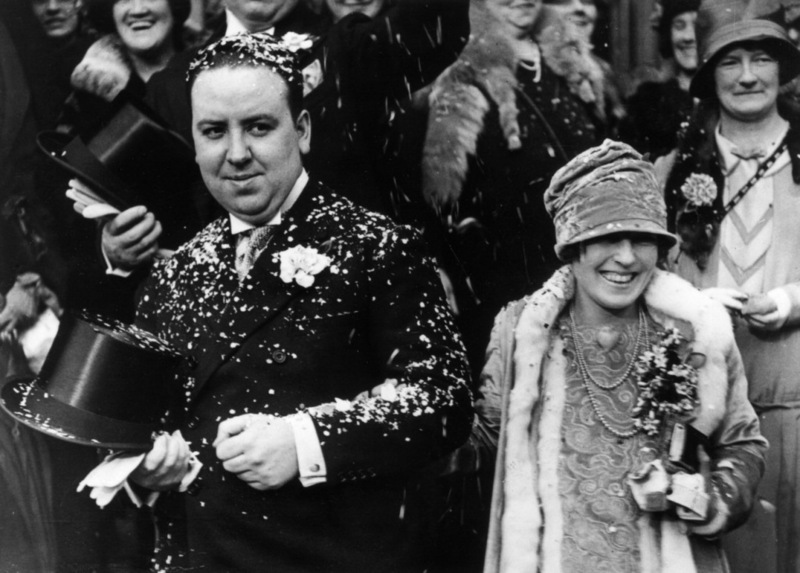 Alma Reville Hitchcock died on July 6, 1982, two years after her husband. With Philip in tow, Pete sneaks back to Kate’s home and talks to her at her window. He says he’s going to leave the island and make his fortune, then come back for her, if she’ll wait for him. She doesn’t take him very seriously, but finally promises that she’ll be faithful. Pete asks Philip to watch Kate while he’s gone, but of course, Philip and Kate fall in love. Philip, meanwhile, is advised by his aunt to break things off with Kate, as she is so low-born she could ruin his career. Philip finds Kate, but just as he’s about to carry out his aunt’s wishes, they receive word that Pete is dead – and Kate takes this as permission to go ahead and openly pursue her relationship with Philip. Naturally, Pete turns up a few weeks later, not only alive but also with enough money to marry Kate. There’s no way out of her promise, so marry they do. Kate soon learns that she is pregnant, and realizes that the baby must be Philip’s. She tries to get Philip to tell Pete the truth, but neither of them can reveal their betrayal of Pete’s trust. The baby is born, and Philip goes on to become the chief judge on the island, while Kate walks out on Pete and the baby. She asks Philip to let her stay with him, but then goes back for the baby – but when Pete won’t give the baby to her, she tries to kill herself. 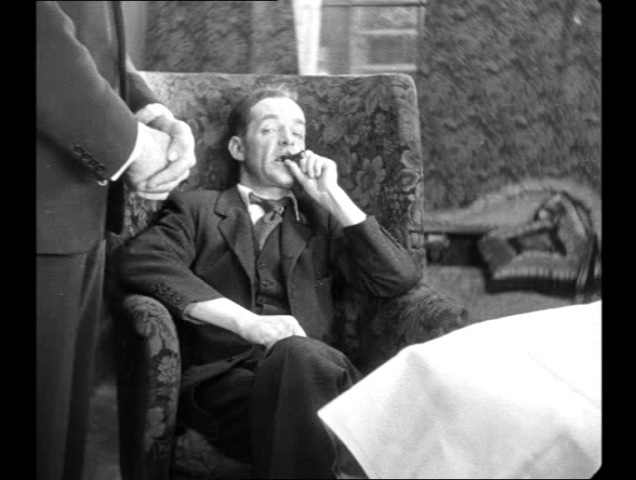 A policeman saves her, though, and she winds up in court – in front of Philip, sitting on the bench for the first time. Pete arrives in court to speak on behalf of his estranged wife, along with her parents. Kate starts to explain that she had been in love with another man before she was married, and her father suddenly puts two and two together, accusing Philip of betraying Pete’s friendship. Philip admits the truth, resigns his new position as judge, and slips away with Kate, looking absolutely miserably, and leaving Pete to his own misery. 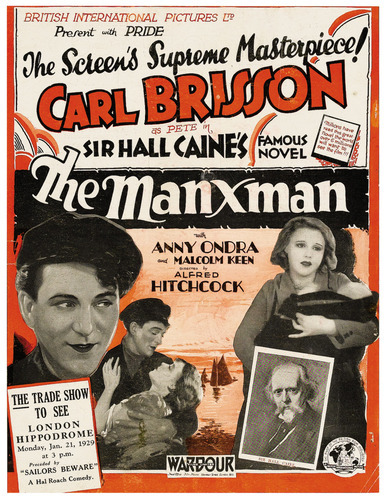 Although “The Manxman” isn’t much of a picture – the story is melodramatic and predictable – it still has more going for it than Hitch’s previous few pictures. Much of it was shot on location on the Isle of Man, and it’s obvious that Hitch enjoyed the location, spotlighting the wild terrain and rough fishing village. 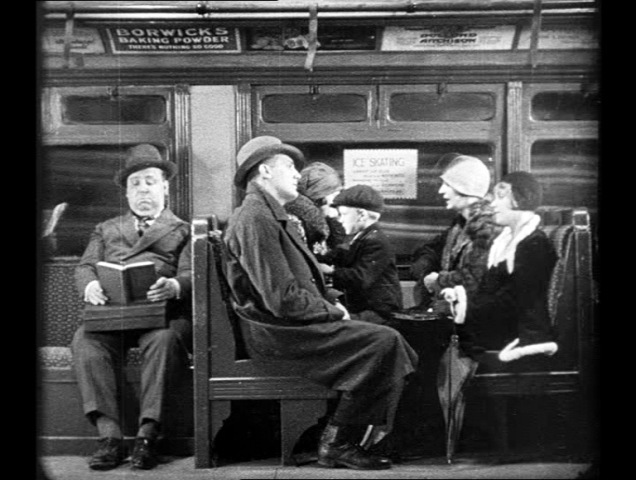 The production got underway just a couple of weeks after the birth of Hitch’s daughter, Patricia, and Hitch’s delight at the event is reflected in the scene where Pete gives his own baby daughter a bath. From a technical standpoint, there are also a few panning shots unlike any I’ve seen in one of Hitch’s movies before. 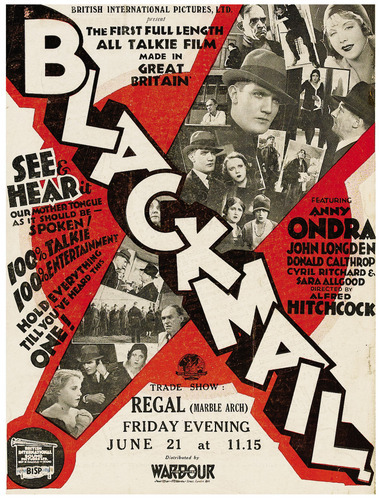 Still, Hitch was about to undertake a much greater technical challenge with his first sound picture, “Blackmail.” We’ll look at that picture on March 21. The clip is almost certainly from 1954, given the fact that “Rear Window” is playing on theaters near Broadway at the time. Of course, even though he puts on a silly French accent, it doesn’t take too long for the panelists to figure out who Hitch is. I love Dorothy Kilgallen’s very odd question about Harry’s Bar; I also loved Hitch’s mock disdain for Biblical epics, and his self-deprecating answer to the question about his movie cameos. This post is not only a small treat for a Saturday afternoon. It’s also my chance to show off the updated look on my Hitchblog, with new art at the top and buttons on the right that will take you to my Facebook and Twitter pages. Please leave me a comment if you like the new look! 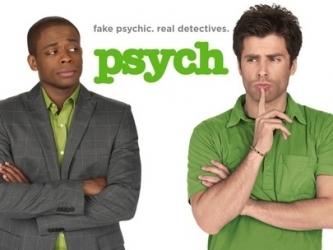 Last night, Psych paid tribute to Alfred Hitchcock in its entertaining fourth season finale. The episode is called “Mr. Yin Presents,” so the Hitch references are there from the git-go. My favorite bit in the episode may have been when one of the cops is chased across a park by a biplane…an RC biplane, that is, operated by a 12 year old. There was more “North by Northwest” in the story, though; it’s one of the clues Yin leaves for the team to follow. I also dug Shawn’s discussion of Hitch’s love of Japanese house slippers – which was completely made up, of course. If you want to see it, it’s being rerun next at midnight on Friday night/Saturday morning, and I’m sure it’ll be rerun again a bunch of times after that. Also, if you visit the USA Network website, there’s a commentary on the episode here from writers Andy Berman and James Roday (who stars as Shawn and also directed this episode) that talks about Hitchcock some. Oh, and special thanks to my buddy J.C. Vaughn, who pointed the episode out to me! British International Pictures released “Champagne,” Alfred Hitchcock’s second to last silent picture, in 1928, a film that should have been bubbly but turned out flat. Based on a story by Walter Mycroft and adapted for the screen by scenarist Eliot Stannard, “Champagne” starred vivacious Betty Balfour, then reknowned as the British Mary Pickford, with Gordon Harker, back for his third and final film with Hitch, as her father. Like so many of Hitch’s pictures, “Champagne” opens boldly enough with Harker impatiently flipping through one newspaper after another as he reads the society pages for news of his wayward daughter. The papers report that she is thumbing her nose at her father by disobeying him and flying to sea to meet the cruise ship with her fiance, who her father does not approve of. On board the ship, the bold images continue with closeups of bottles of champagne being opened as one mustached man surveys a crowd of dancers through the stem of a champagne glass. Balfour’s seaplane reaches the ship, and she is ferried by rowboat between the two vessels, changing into evening clothes on the way, although her face is like a raccoon mask of grime under her aviator’s goggles. Before long, she’s reunited with her boyfriend and causing a sensation on the ship, as everyone wants to be near her, including the mustached man. The ship arrives in Paris, and Balfour takes up residence near the Eiffel Tower, where she throws a party, during which she keeps disappearing into a back room where two or three servants change her into one fancy outfit after another. Although her guests applaud every time she emerges, her fiance doesn’t appreciate her ostentatious ways. She responds to this by changing into a plain black frock and kerchief and posing like the little match girl. Balfour’s gaeity is shattered when her father joins the party; he pulls her aside to tell her that he’s lost all their money, and they are ruined. Balfour is stunned by the news, but soon bounces back, deciding to find a job for herself. She winds up a flower girl at a night club, where she continually displeases her boss with her naivete – for example, she gives flowers to the club’s band. Hitch purposely undercuts a serious conversation by staging a wild dance behind it. Our mustached friend finds Balfour at the club and invites her to join him for dinner. Despite her misgivings over sitting with this mysterious character, Balfour goes ahead anyway. But when her fiance shows up as well, the situation becomes tense. The fiance leaves, then returns with Balfour’s father, who is incensed that she has taken such a job. Balfour is angry with both her father and fiance, and finds the mustached man. He is getting ready to leave for the United States, and Balfour begs him to take her with him. On the train, Balfour’s fiance finds her alone in the other man’s cabin. He says that he would have taken care of both Balfour and her father; just then, the father and the mustached man enter the cabin, and the father admits that it was all a hoax (one worthy of a Lois Lane comic): They were never broke after all, but the father said they were to teach Balfour the value of money. He’s also pleased at the boyfriend’s loyalty, and now approves of their marriage. Oh, and the man with the mustache had been hired by Balfour’s father to stop her from eloping with her fiance. Somehow none of this upsets Balfour, who laughs with relief that they’re no longer broke. “Champagne” was poorly received on release; it was billed as a comedy, but it wasn’t very funny; the story was thin, the situations unbelievable, and the characters one-note. Balfour is charming, and Harker is as funny as he can be given the limitations of the story, but there really isn’t much for him to work with. Hitch revisted the shot through the stem of a champagne glass from the start of the movie in its final moments. What almost saves the film is Hitchcock’s continued visual inventiveness, such as the great sequences on the ship where he uses camera movement to express motion sickness, followed by blurry multiple images to put the viewer in the head of someone experiencing motion sickness. Later, in a rundown Parisian apartment, there are lovely moments where Harker attempts to lecture his daughter while doing knee bends. After that, there’s a nice moment where Balfour is making a bed; she lifts the flat sheet up so that all you can see is the sheet; when it comes down, it’s a checked tablecloth that she’s using to set the table. 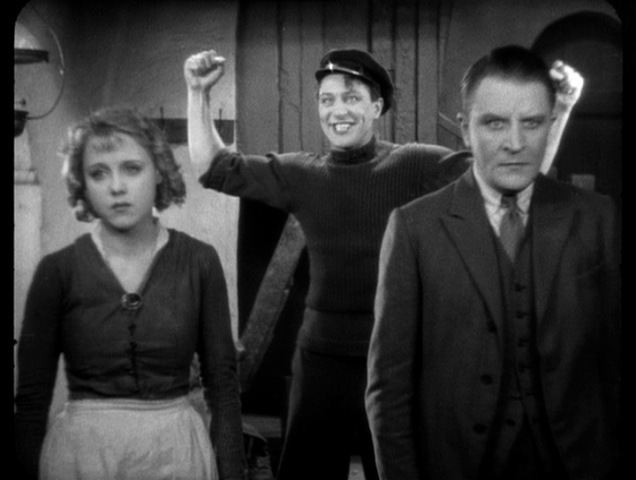 “Champagne” also suffers from what I’m starting to think of as “silent movie syndrome.” The characters barely have names, let alone back stories or motivations – they’re types more than anything else. They don’t behave like real people, either. Betty Balfour’s character’s reaction to the awful way in which her father has manipulated her is simply not believable. Hitch was always more interested in technical challenges than character, and sometimes he seems to just let the latter slide, as though hoping that his technical virtuosity and instinct for plot would carry the film. But without believable characters, neither plot nor flashy camera tricks count for much. That said, “Champagne” also feels more modern than any other of Hitch’s silent films; its costumes would work in a 1930s musical, as would the art deco sets, particularly on the ship. By the time “Champagne” was released it had been ten months since the opening of “The Jazz Singer” in the U.S. The British film industry was abuzz about it. The two major questions were: Would talkies be a fad or actually catch on, and how could the relatively small British business pay to outfit theaters and film studios with sound equipment? 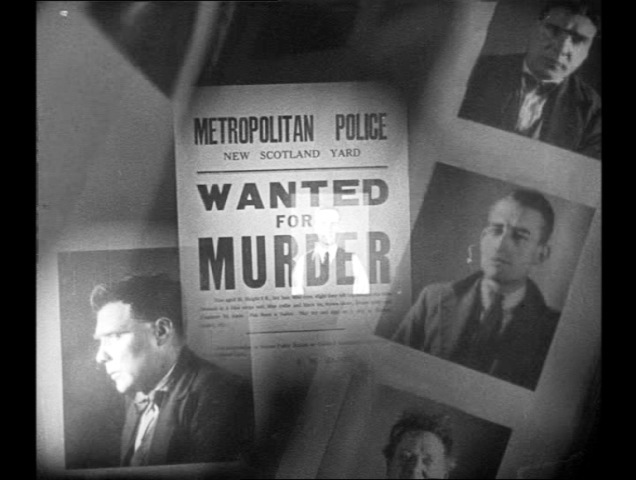 The question had to be looming large in Hitch’s mind as he worked on his 1928 films. His next movie, “The Manxman,” would be his final silent picture. We’ll look at that film next Sunday, March 14.